Cllr. David Hurley is a regular visitor to St. Austin & St. Gregory's Church, Margate, where he often assists at the Sunday morning Missa Cantata, adding a little touch of gravitas to the proceedings! As well as being a devotee of the Traditional Liturgy, Cllr. Hurley has a fondness for this little blog of mine... mostly, I suspect, because of the cat posts. Having declared himself "not a cat person" when I first made his acquaintance, he was rapidly shown to be a real soft touch when two local moggies adopted him. Let's be honest, they didn't so much adopt him as launch a full-on strategic assault. From the first manoeuvres (allowing themselves to be gallantly defended from a local fox in the garden), to getting a catflap installed in the conservatory, the scheming felines have wrapped the poor man round their furry paws. His Worship's Mayoral Chaplain is Fr. 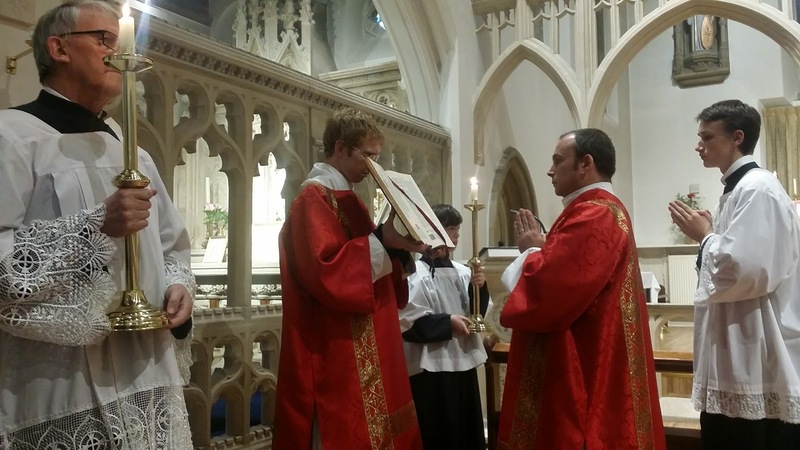 Innocent Abonyi, Parish Priest at St. John The Evangelist Church, Gravesend, and he will be offering a Mass for the new Mayor's intentions, and the success of his Mayoral Year, on Wednesday, 20 June 2018, at noon. Cllr. 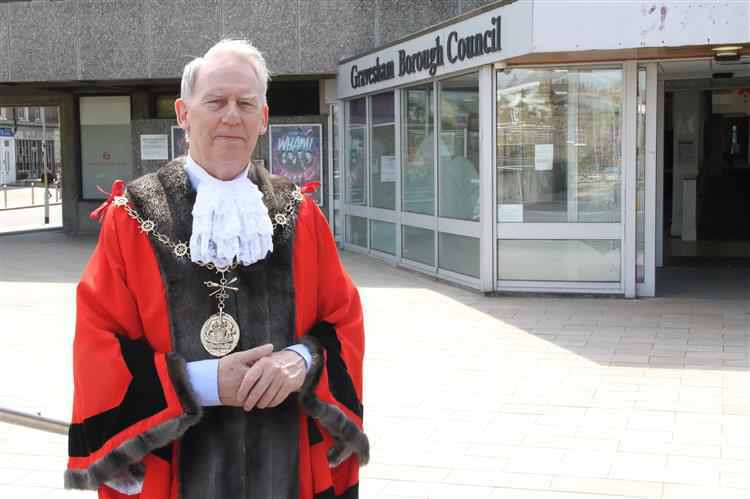 Hurley's chosen mayoral charities are The House of Mercy, Demelza Hospice Care For Children, which operates across Kent, and Alzheimer's And Dementia Support Services, which is based in Northfleet. I'm ever so pleased for Cllr. Hurley, who works very hard for his constituents, and I would like to take this opportunity to wish him all the very best, and many prayers for his success over the coming year. I had a great day with my friend, though I was shocked by the amount of grime and grit on my face by the time I got home. The clean sea air was a welcome contrast. Tuesday morning was warm, but overcast. 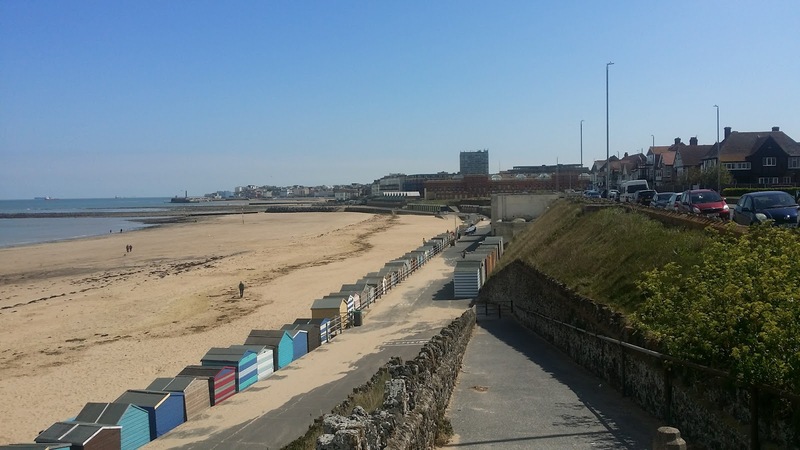 I had arranged to visit my mother (with my car, so she could do some shopping) and, as I left Margate, it started to rain. I had heard a weather forecast predicting showers, and so I hoped it would all soon pass over. It didn't. The rain got heavier. There had been very little traffic as I headed to the M2. Gradually, as the rain became heavier, the traffic began to build up. I dislike driving in heavy rain... there are too many people who whizz past at stupid speeds, sending up huge amounts of spray. However, this time the rain was so heavy that people were driving very slowly. There was one section of the road which had so much surface water that, driving at 15 mph, the water was being pushed up in a wave as high as the car windows... and then, just before we got to my exit, traffic ground to a complete halt. The rain was now so heavy that my windscreen looked as if I was in a car wash.
After about an hour, we managed to crawl forward far enough for me to get to the motorway exit sliproad. A few impatient souls had actually risked using the hard shoulder to get there sooner... and, when I reached the bottom of the sliproad and saw these vehicles stationary just a short distance away, I knew that this was not going to end well. The police arrived and directed us all round back to the M2, as the A249 was completely flooded... I found myself in another traffic jam, but this time heading back towards home. I then spotted a woman in her front garden, putting something in the bin. The rain had eased up a bit, but not much, and I was beginning to lose faith in my navigational aid. I stopped to ask directions. Unfortunately, I didn't know exactly where the map was taking me, and asking how to get to Eastbourne didn't seem particularly helpful. So I asked if the track hit a main road any time soon. Which main road? Any main road. As long as it had tarmac and road markings. She assured me that the road was at the end of the track. I set off again. The track was becoming very muddy, and very narrow and the hedges were getting higher. However, I thought that I must be on a recognised route because by now there were two vehicles behind me. I drove over a slight rise, and braked to a dead stop. The road ahead was completely under water - about six car-lengths. The water went as far as the hedges at the side of the track,and I had absolutely no way of gauging the depth. Because it was a single track road, the two cars behind me meant that I couldn't reverse. Fortunately there was a small passing place to my right, and so I reversed back into it, praying that I wouldn't end up in a ditch, and stopping at right-angles to the track. My plan was to watch the two vehicles which had followed me. I assumed they were locals, and would know how low the road actually dipped. The car directly behind mine was about the same size, and I thought that I could watch how high the water went before venturing across myself. Alas! The woman in the car behind mine didn't like the look of the water either. She copied my manoeuvre, ending up next to my car, on my right, and blocking my view. The third car was a big one, and the male driver had obviously become impatient with us, as he promptly sped through the waterlogged patch. As my view had been blocked by the other woman driver, I still couldn't work out how deep the water was. In the meantime, the cautious woman driver sped off back the way we had come. I hesitated, but all the horror stories about people getting lured into deep water by their sat navs kept preying on my mind, and I tried to retrace my steps. It was a pretty close call, I think. I eventually reached a main road. I had no idea which direction I was travelling in,and I had given up on the Google Maps app which was still trying to direct me down side roads. Finally I spotted a sign for Maidstone, and followed that. Tunbridge Wells was signposted from there, and I knew my way pretty well from then on. I will never trust Google Maps again. When Furretti had to be put down, I wasn't sure whether I would get another cat to keep Miaowrini company. When I looked after my friend's cats a few years ago, both Miaowrini and Furretti had been rather "put out" by the strangers, and neither cat had been pleased when the next-door neighbours moved in with two cats of their own. I know that most cats prefer to have their own territory, but wanted to check to see how Miaowrini got on alone. Before Furretti's demise, Miaowrini had been over-grooming: her tummy was very pink due to the thinness of the white fur, and her leg had a balding patch on it. I had put it down to stress due to the neighbour's cats, but, on reflection, I think Furretti had had a few fits in my absence, and this had scared Miaowrini and stressed her out. Once it was obvious Furretti was not coming back, Miaowrini's behaviour really changed quite drastically. She had always been quite reserved, and easily scared off by sudden movements. That stopped. She started to purr more. Suddenly she was sleeping on my bed much more frequently, and miaowing furiously if I was in what she obviously considered to be "her" spot! She started to demand to be stroked! 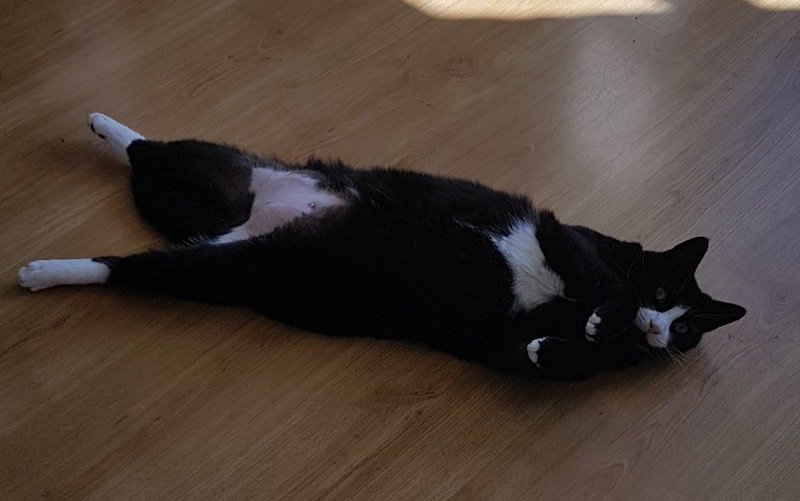 She would meet me at the door when I arrived home, lead me in to the front room and roll over onto her back to show her tummy in a rather cute manner. In addition, almost overnight, she got fatter. She definitely seems to enjoy being the sole cat of the household, so I shall refrain from getting a rival kitty. Watch this space for further updates! Following the witness shown in Poland and Ireland recently, a group of lay people in the UK decided to try and organise a similar day of pilgrimage and prayer for the re-flourishing of our Faith, for the grace to build a culture of Life and for true Peace to reign in the hearts of all peoples and nations. You can find out more about the initiative on the website. Thanet, that small pimple on the easternmost end of Kent, had two pilgrimage locations being organised - and I was delighted that Margate (led by Fr. Timothy Finigan, Parish Priest of St. Austin & St. Gregory, Margate, with St. Anne, Cliftonville) was one of them (the other was Ramsgate). ...and then we prayed the Glorious Mysteries of the Rosary, the Prayer to St. Michael, the Consecration to our Lady and a few other prayers, but not necessarily in that order... I was cold, wet, and my fingers were turning an interesting shade of blue as I had been asked to take photos and my phone doesn't seem to respond when I'm wearing gloves. In addition, I had forgotten to bring gloves. I'd also forgotten to bring a hat and scarf (did I mention the wind?) The conditions certainly added to the penitential feel of the devotions! “It is better that one should suffer than that many should be corrupted. Consider the matter dispassionately, Mr. Foster, and you will see that no offence is so heinous as unorthodoxy of behaviour. Murder kills only the individual -- and after all what is an individual?" With a sweeping gesture he indicated the rows of microscopes, the test-tubes, the incubators. "We can make a new one with the greatest ease -- as many as we like. Unorthodoxy threatens more than the life of a mere individual; it strikes at Society itself," he repeated.” Aldous Huxley, Brave New World, 1932. 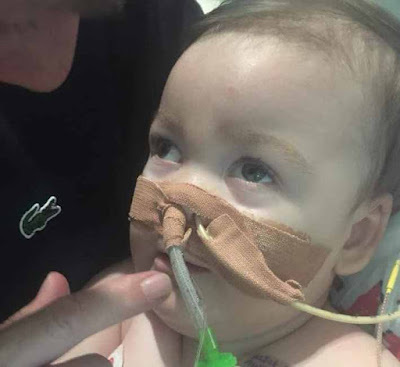 For Alder Hey Children's Hospital to continue to fight against Alfie Evans' parents desire to take him abroad for treatment, something of an ideological nature must be at work. In 1993, Anthony Bland was diagnosed as being in a persistent vegetative state following injuries sustained in the 1989 Hillsborough disaster. Because the provision of artificial nutrition and hydration was, at that time, deemed to be basic nursing care rather than treatment, the hospital went to court to determine whether this could be considered to be treatment, as the provision of treatment, if not deemed to be in the patient's best interests, could be stopped. Anthony Bland was not dying. He was not responsive, but he was not dying. Neither was he in pain. However, when his food and water were stopped, it was necessary to give morphine to relieve the pain he experienced while being dehydrated and starved to death. Since this landmark case, removal of artificial nutrition and hydration of patients who are deemed to be "beyond treatment" has become more and more common. When Alfie Evans was deemed to be profoundly brain damaged due to an undiagnosed degenerative neurological condition, the hospital authorities proposed removing the artificial ventilation. This would, in their opinion, result in Alfie's death in a very short time, probably a matter of minutes. However, his parents disputed this cessation of treatment, maintaining that their son was responsive (when not under heavy sedation) and not in any pain. The hospital immediately sought to have Alfie's "best interests" determined by someone other than the parents, and arranged to have a court order made out to that effect. Such determination to see the toddler die, despite other medical provision being made available elsewhere, suggests very strongly that this was intended to be a test case, a precedent in law. In other words, a profoundly disabled child is a burden on the parents and especially on the State. It is therefore better to "allow" the child to die. If the parents do not agree, then the responsibility for the "welfare" of the child must be removed from them and given over to someone appointed by the State. The State will therefore be able to ensure the child dies sooner rather than later. Unfortunately for the hospital, not only did the parents fail to follow the expected narrative, fighting tooth and nail for the survival of their son, but Alfie himself failed to follow the path mapped out for him, and he managed to continue breathing on his own. The total intransigence of the hospital authorities is breathtaking. Despite the baby still managing to cling to life for nearly 48 hours after ventilation was removed, despite a hospital being on standby in Italy offering care for as long as Alfie needs it, despite specialised transport being on standby to take the baby, and despite all of this being available at no further cost to the NHS trust, they have chosen to return to court (hardly a cheap option) in order to oppose the toddler's removal from Alder Hey. This is too irrational to be just about the treatment of one child. It just doesn't add up. This was meant to be another stage in the push for euthanasia to be seen as a valid and sensible choice... and one chosen by the State for individuals no longer deemed to be "useful." At this moment, 5:40pm on Wednesday 25th April, Alfie Evans is still clinging to life, and the Court of Appeal is deciding whether Tom and Kate can take their son to Rome. UPDATE: 7:17pm Wednesday 25th April 2018. The Appeal was rejected, as "nothing has changed." It seems as if the State cannot (and will not) allow any defiance. Pray for Alfie Evans and his family. But more importantly, pray for our country which has not only forgotten its Christian roots, but has forgotten its basic humanitarian instincts. It is now over 24 hours since Alfie Evans had his ventilator turned off, despite last-minute legal challenges from his parents. The doctors at Alder Hey Children's Hospital had previously stated that Alfie would be unable to survive on his own for more than three minutes. After he survived overnight against all the odds, many of us hoped that the hospital authorities and the court would allow Alfie to be taken to Italy, where the Bambino Gesu Hospital had offered to care for the toddler for whatever remained of his life. It is one thing to insist that further treatment is futile, and so cannot be provided by a hospital, especially in these times of NHS rationing. But to refuse to allow a child to be taken abroad for possible treatment and palliative care, at no further cost or inconvenience to the hospital, is just bizarre. In my first post about Alfie, I remarked on the decisions being made ostensibly "in the best interests" of the child. When the parents refused to accept the verdict of the hospital authorities that it was in Alfie's "best interests" to be allowed to die, as his brain was too damaged to allow him any real quality of life, the hospital went to court to appoint someone more amenable to their views about Alfie's treatment, basically denying the parents any rights over the treatment decisions for their own son. When, through constant campaigns on social media, Tom Evans and Kate James managed to find a European hospital willing to treat Alfie, the hospital ensured that the parents were prevented from taking their son out of Alder Hey. Even more bizarrely, the reason given was the danger to Alfie that might occur due to the stress of travel. So travel was opposed by the hospital on possible health grounds, while that same hospital was preparing to remove ventilation which would (in their opinion) definitely result in the child's death. So, as mentioned earlier, many people following the case were confident that, after having survived for so much longer without ventilation than originally anticipated, Alfie would now be allowed to travel to Italy. To the amazement of us all, the hospital opposed Alfie's removal. In addition, the clinician presenting evidence to the court hearing stated that it would not be possible to allow palliative care at home for Alfie because of the breakdown in relationships between the parents and medical staff. One interesting tweet from a journalist revealed that the clinician was still in hospital scrubs when in court. How touching... the hard-working clinician hadn't even been allowed to change. Since when does the difficult relationship between a patient's relatives and medical staff prevent them going home? And the apparent fear experienced by some doctors due to the hostile atmosphere would be unnecessary if the child was no longer in the hospital. It all seems to indicate that the medical personnel have something to hide. 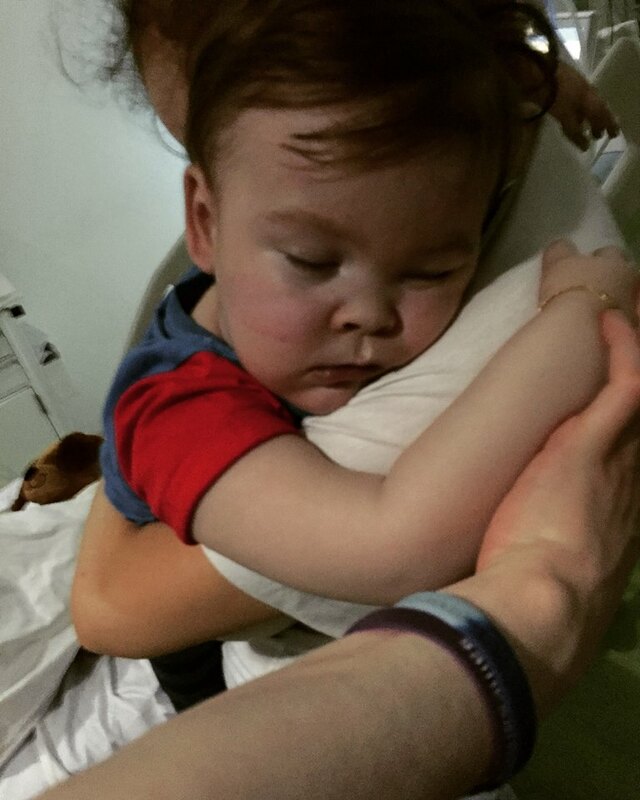 What could possibly be worse than Alfie dying at home or abroad... unless it is Alfie living. Or, if Alfie died, then a post-mortem carried out somewhere other than Alder Hey might reveal uncomfortable truths about the care, or lack of it, provided by Alder Hey. Earlier today, a group of doctors from the Medical Ethics Alliance released a statement which outlined concerns about the behaviour of clinicians at Alder Hey. They have asked the GMC to investigate the medical tyranny which, in their view, has brought the whole medical profession into disrepute. Remember that Alder Hey was the hospital involved in the scandal of retaining the body parts of dead children, and selling the tissues of live children to pharmaceutical companies. Looking at the reports written by Alfie's father, it seems that there are many questions to answer about the care given to Alfie. Why did doctors dismiss Alfie's parents' concerns about his lack of progress on three occasions, stating that the baby was "lazy" and "a late developer"? Why did Alfie catch a second chest infection in the hospital, after coming off the ventilator? What were the infections? Why was the cause of his seizures not diagnosed? Why did they first tell Alfie's parents that they would allow him to be transferred to another hospital, and then, when a hospital was found, admit that they had no intention of letting Alfie go? And finally, why are they so determined to ensure that Alfie dies in Alder Hey rather than at home? Something's rotten, and it's not in the State of Denmark. Last night I blogged about the treatment of Alfie Evans (or lack of it) at Alder Hey Children's Hospital. As of 11am this morning, Alfie is still breathing unassisted. That means that he survived for 13 hours longer than the doctors said he would. During the night, the toddler was reportedly being given mouth-to-mouth by his parents, as he didn't appear to be getting enough oxygenation - his fingers were going blue - and the hospital authorities deemed the provision of oxygen through a mask to be "treatment" and all treatment had been withdrawn by order of the courts. They even prevented his parents from giving oxygen to their son. The last-minute bid to stop removal of Alfie's ventilation tube by granting him Italian citizenship was dismissed by Mr. Justice Hayden, who said that Alfie was obviously a British citizen as he was habitually resident in the UK, and therefore under the jurisdiction of the High Court. It's difficult to get reliable updates, as Twitter is awash with retweets of old information, and the mainstream media only now appears to be reporting on Alfie's case - but again, with old information. From the latest post on the Facebook page for Alfie's Army, it seems that, sometime during the night, the hospital decided that they would, after all, allow oxygen and water to be given. From this, it is obvious that the doctors were wrong when they said that Alfie was too brain-damaged to breathe unassisted for more than three minutes. The decision of Mr Justice Hayden to allow the hospital to remove ventilation was obviously based on the incorrect "diagnosis" given by the doctors. Despite this, it seems that the authorities are still maintaining that they know what is in Alfie's "best interests" as the parents are still unable to take Alfie out of the hospital and transfer him to Italy. The main result of this whole sorry episode is to highlight what some of us have suspected for some time: parents have no rights when deciding what is in their child's best interests if the state disagrees with their opinions. As I write, the case of little Alfie Evans is reaching a heart-wrenching climax... according to the latest tweets, Alfie has been granted Italian citizenship, and the Italian ambassador has reportedly said that any attempt to remove the ventilation tube would be considered as the murder of an Italian citizen. Alfie was brought to Alder Hey Children's Hospital in December 2016, after suffering seizures. The condition affecting the toddler has not been diagnosed, other than to say it is a degenerative neurological condition. The hospital authorities ruled that there was catastrophic degradation of Alfie's brain tissue, that he was in a semi-vegetative state, and that further treatment was futile, inhumane and unkind. His parents disagreed, saying that Alfie was responsive. The hospital countered that the "apparent responsiveness" was merely the result of spontaneous seizures due to touching. Earlier this year, Mr Justice Hayden ruled in favour of the hospital, saying that it was in Alfie's best interests to have ventilation withdrawn, and to be allowed to have peace, quiet and privacy, and he set a date for the withdrawal of the ventilation tube. Alfie's parents, Tom Evans and Kate James, have been fighting to keep Alfie alive ever since. Up to this point, the story is tragic for all concerned, but not unusual. Sometimes, treatment which is burdensome for a patient and not likely to help has to be withdrawn. It's awful, especially when the patient is a little child, but sometimes it really is in the best interests of the patient, to avoid further pain and suffering. However, Alfie's story has now started to take a more sinister aspect. For a start, Alfie is not in pain. He appears to be growing. And, when not being heavily sedated by the hospital, he appears to be responsive. By dint of their constant campaigns through social media, Alfie's parents managed to attract the attention of an Italian hospital, the Bambino Gesu, who offered to take over Alfie's palliative care, including artificial ventilation, for the remainder of his life. Tom Evans had an air ambulance standing by, with staff capable of looking after Alfie's needs during the transfer. However, Alder Hey prevented Tom from taking his child out of the hospital, calling police to block the exits and warning him that he would be arrested for assault if he attempted to take his son away. At the same time, the hospital and Justice Hayden, maintained that Alfie's "best interests" were for the ventilation tube to be removed. The pain and discomfort that would be caused by the removal of the ventilation tube (basically suffocating Alfie to death) would require the administration of two painkilling medications. Alfie is not currently experiencing pain. The sedation would, by depressing his breathing still further, effectively kill him. But, according to the courts, it is in Alfie's "best interests" to remain in the hospital, even though his parents want to take him to a different hospital. Alfie's parents are fighting heroically for the life of their son. They have pointed out that, when the sedation being given by Alder Hey has been reduced, Alfie appears to be much more responsive and alert. In a final attempt to allow Alfie to leave Alder Hey, he has been granted Italian citizenship, and the Italian embassy is trying to arrange his "repatriation." 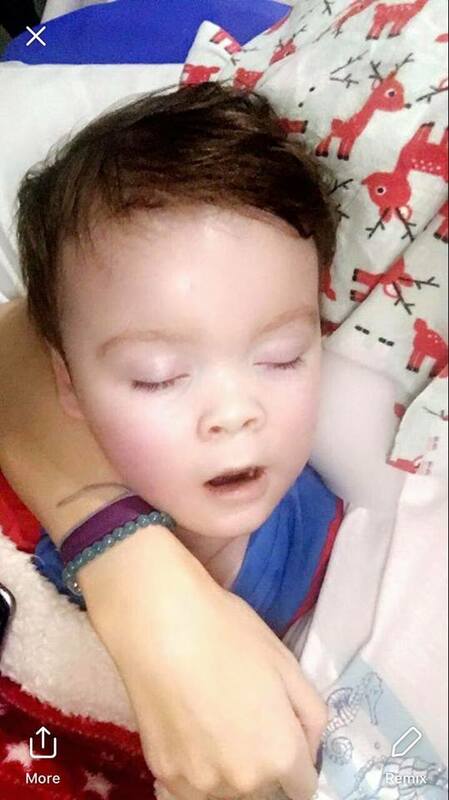 UPDATE: In the past hour, despite the ongoing legal challenge from the Italian embassy, it seems that the staff at Alder Hey have removed the ventilation tube from Alfie Evans. He is struggling to breathe, but is still alive. The hospital have reportedly refused to allow oxygen to be administered, and have arranged for thirty police officers to be stationed outside Alfie's room. Whose best interests are being served now? This whole case stinks. There seems to be no rational reason why Alfie should not be taken out of hospital by his parents. Even if there is no hope of recovery for the toddler, Alder Hey lose nothing by allowing him to go elsewhere to die. Perhaps they are afraid that Alfie will actually live if he is treated elsewhere, perhaps despite being severely disabled, and nevertheless demonstrating an ability to enjoy life. The intransigence of medical staff and Justice Hayden, who appear to be absolutely determined that they will not be thwarted in their original decision seems almost diabolical. It is almost as if Alfie Evans is a test case, in much the same way as happened with Anthony Bland in 1993, when it was decided to obtain the legal ruling that food and water administered through feeding tubes constituted "treatment" and as such could be withdrawn if it was deemed to be in the "best interests" of the patient. Since then, the diagnosis of persistent vegetative state has not been the only one to incur this withdrawal of food and water. As predicted at the time, now it seems that any elderly person who needs intubation for food and fluids is in danger of having this "burdensome treatment" withdrawn "in their best interests" unless they have a relative able to fight for them. Perhaps the case of Alfie Evans is the same thin end of the wedge - if a child is severely disabled, ignore the parents' wishes and allow the court to decide that the end of their life is in their "best interests." Pray for everyone involved in this awful scenario. Until three years ago I lived in London. I had read about fog (particularly the old pea-soupers) but had never really experienced it as described in Benson's Mapp and Lucia or King's The Fog... I didn't appreciate how quickly fog could descend, and how thick it could get. Zephyrinus was visiting the other day (Fr. Finigan was offering a Requiem Mass for a friend of his) and he explained to me that this type of fog was called a "sea fret," a term I'd never encountered before. The Bishop of Portsmouth, Bishop Philip Egan, has published a pastoral letter, which looks as if it will actually be worth reading. Not just platitudes, but a call to action... and, more incredibly, action specifically in support of the unborn! The Catholic Herald has reported snippets: with any luck the whole letter will soon be available, as it is due to be read out this weekend. It is amazing to hear that a Bishop of England and Wales is actually singing the praises of Humanae Vitae... and extremely sad that such praise from the leaders of the church should be so unusual. 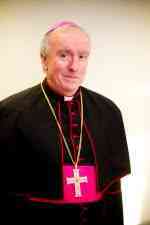 It is with deepest regret that I have to inform you that Cardinal Furretti has died. She suddenly had several fits, probably a form of epilepsy, and the severity was such that I didn't think it kind to try to prolong her life. The dosage for medication for fits in cats is difficult to get right, and it would also have involved frequent blood tests to monitor liver function. In addition, the fits really freaked out Monsignor Miaowrini, my other cat. 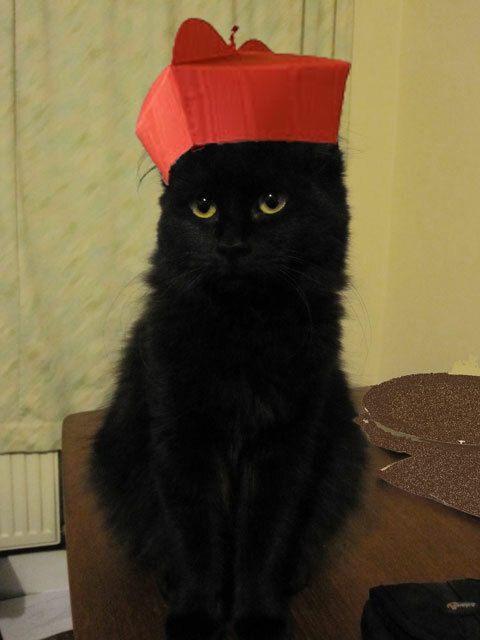 Cardinal (then Monsignor) Furretti was adopted by me, along with her brother, Cardinal Catzinger, back in 2010, following the death of my first cat. After Catzinger's sudden death, little Furretti shot to internet fame when she shredded a copy of the Catholic Times containing an article denying the physical presence of Christ in the Eucharist. 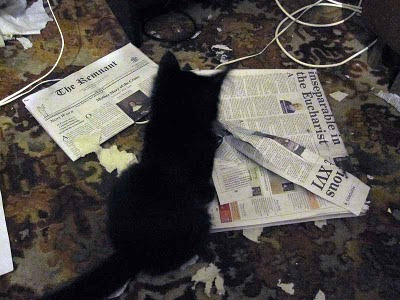 At the time, there were two papers which she had knocked to the floor: Furretti left the more orthodox Remnant totally unscathed. I have decided not to get another cat - at least, not for a while. Miaowrini has been gaining in both confidence and weight since the demise of the Cardinal, and some stress-grooming I had previously attributed to the presence of next-door's cat appears to have ceased. I can only assume that Furretti had experienced a few fits in my absence, and that this was the cause of Miaowrini's stress. In the past 100 years or so, there have been many saints added to the calendar, and I have a devotion to quite a few of them. However, I rarely get to mark their feast days, because I prefer to say the Office according to the older calendar. This is because I feel that the Novus Ordo calendar is considerably impoverished with regard to the liturgical seasons. One of my major bugbears is the idea of "Ordinary Time." It starts off after the Baptism of the Lord, stops for Lent and then starts again after Pentecost. It doesn't usually continue exactly where it left off, however, so, unless you have a table of movable liturgical feasts or an Ordo handy, you haven't got much chance of being able to guess which week of Ordinary Time it is. Very annoying. The calendar for the usus antiquior is, in my humble opinion, much richer - especially if you follow the pre-1962 version. The year starts with Advent, then Christmas. This is followed by Epiphany, which has an Octave, and then we begin the Sundays after Epiphany. This period is separated from the preceding one by a change in the colour of vestments and veils. It feels very different to the season "After Pentecost", even if the colour is the same, just as Advent is different to Lent and Christmas is different to Easter. This year, there are only three Sundays after Epiphany, and then we enter Septuagesimatide, when the hangings, veils and vestments become purple, and, even though we don't yet abandon the Gloria, the alleluia is no longer heard: at Mass, (a tract is chanted instead). This all helps to prepare us for the rigours of Lent, being able to give due thought and preparation to the prayers, penances and almsgiving we intend to carry out, rather than Ash Wednesday (and the whole Lenten season) coming as a total surprise! And so the calendar marked the seasons and times of the year, with feasting and fasting, joyful celebration and sombre preparation. Simplifying the calendar has destroyed part of our Catholic heritage. Perhaps, just as the Friday abstinence rule has been reintroduced and some of the Holydays of Obligation have been returned to their proper days (at least in England and Wales) in order to reaffirm our Catholic identity, so also our calendar can be restored to its former glory.